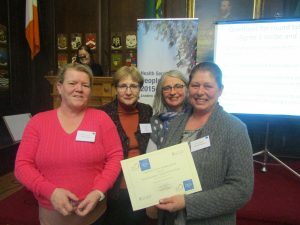 Pavee Mothers was part of the showcase of HSE Excellence Awards which took place in the Mansion House last week. Our project, is a phone friendly website developed with Traveller women for Traveller women with information to support mothers-to-be during and after pregnancy. The awards reflect the high quality of work being undertaken with the HSE. Wicklow Travellers Primary Health Care Group also featured at the showecase for their project – Smoke Free Homes which was in relation to helping people to stop smoking. 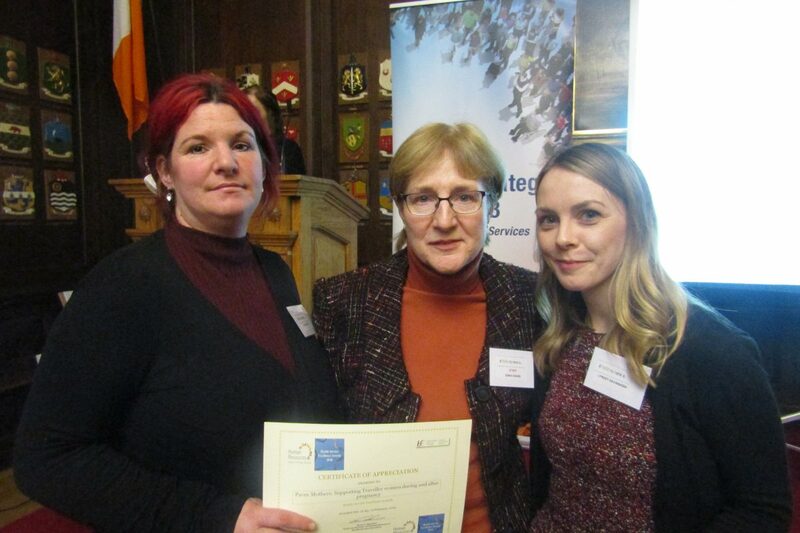 Bridget O’ Connor, Wicklow Travellers Primary Health Care Project; Edna Hoare, HSE; Grainne Quinn, facilitator and Margaret Mary Moorehouse,Wicklow Travellers Primary Health Care Project.